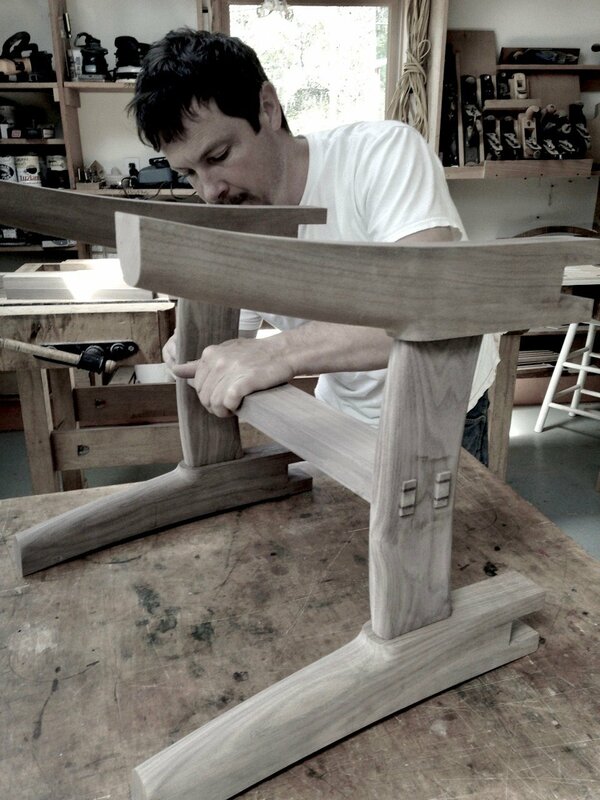 We are a furniture design/build workshop located in the scenic coastal town of Stonington, Maine. 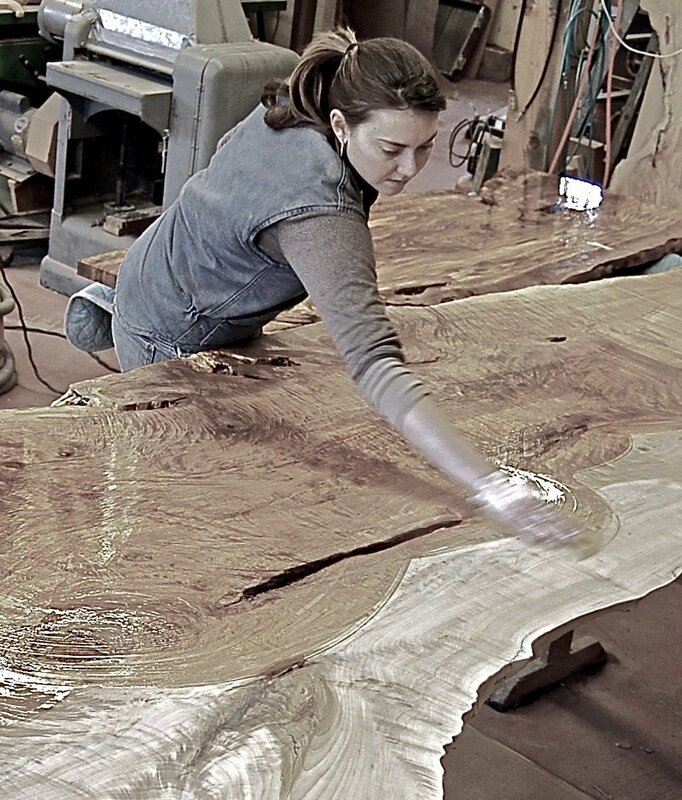 Using innovative design and skilled craftsmanship we create furniture that is beautiful, durable and ergonomic from sustainably harvested American hardwoods. 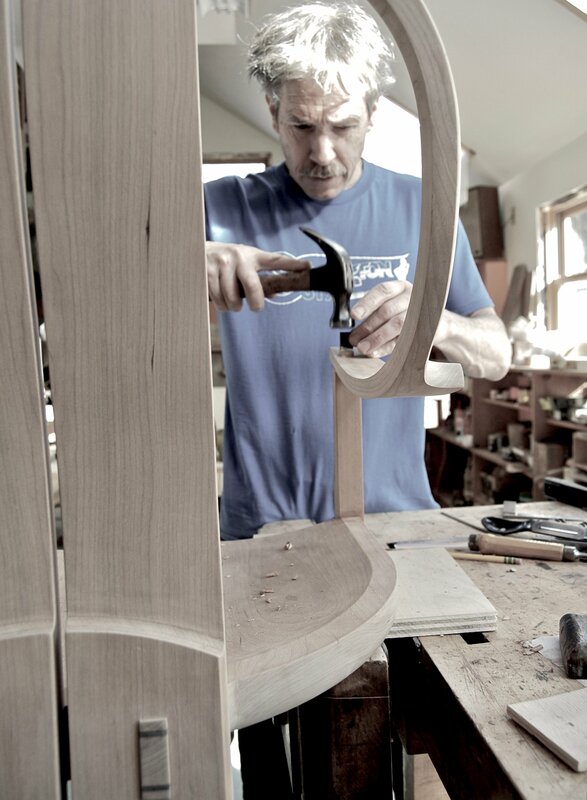 Geoff’s inspiration as a furniture designer began with Scandinavian and Eastern influences. 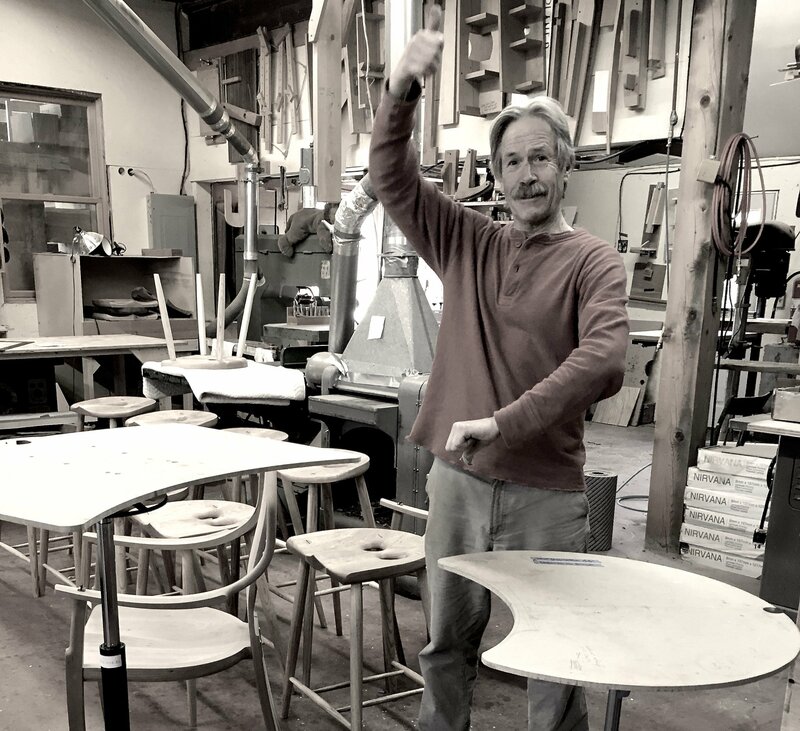 These forms were close to his heart many years ago when he studied with the Danish master, Tage Frid at the Rhode Island School of Design. 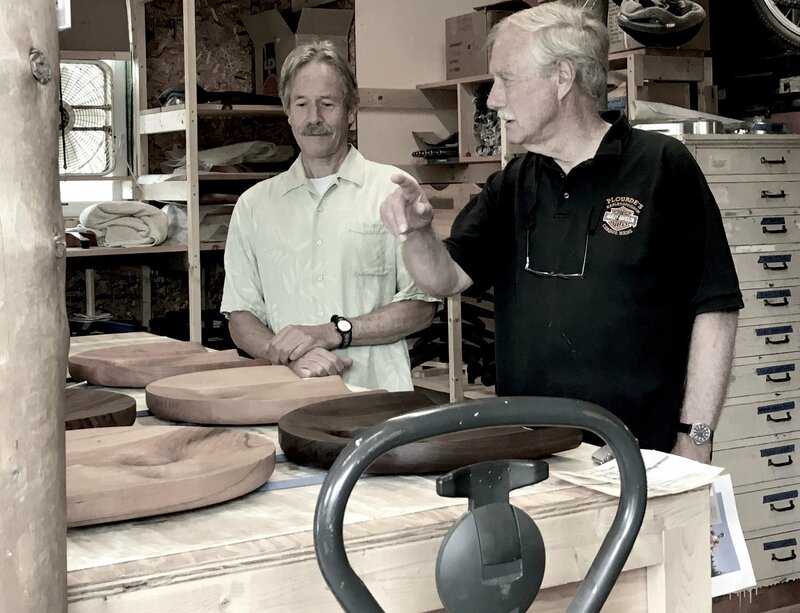 After many years practicing as a designer, craftsman and solutionary he still draws passion from his trade of working with wood, giving trees a second life and providing healthy benefits and heirloom quality furniture to his customers. 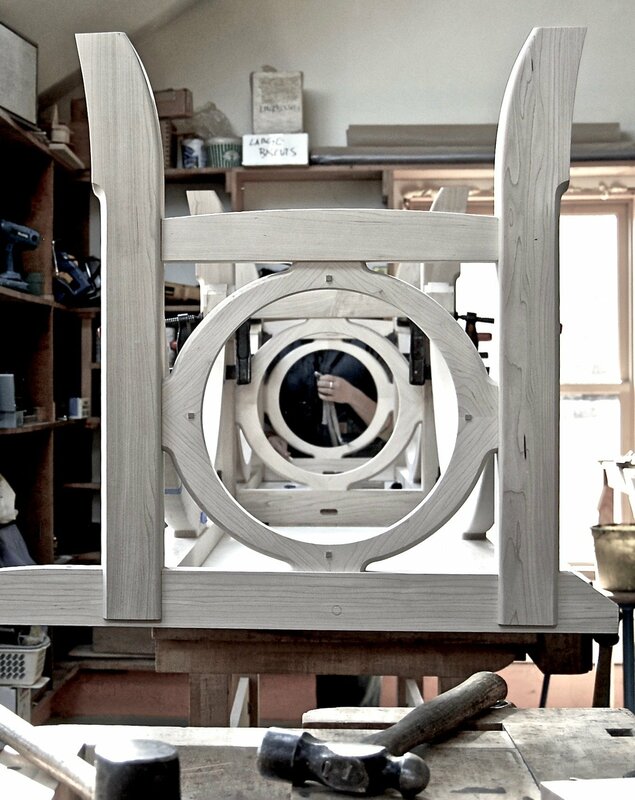 Imagine what we can make for you! 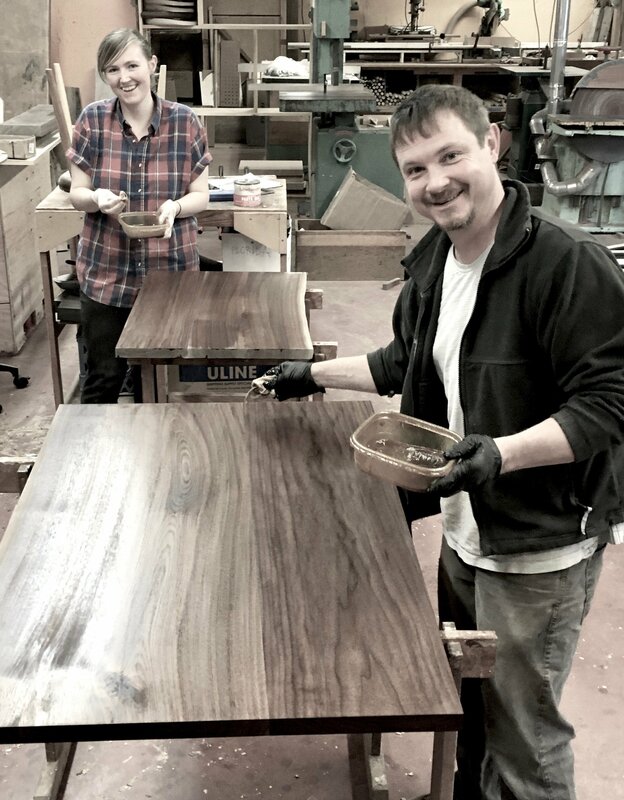 In this photo gallery, see the faces behind the craft of Geoffrey Warner Studio and Owl Furniture. 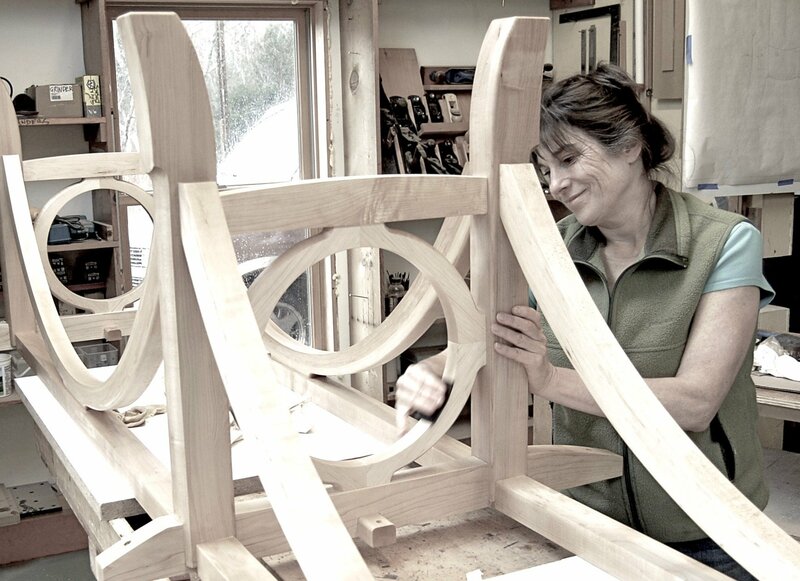 We invite you to come and visit our busy, creative studio located on the coast of beautiful Stonington Maine. 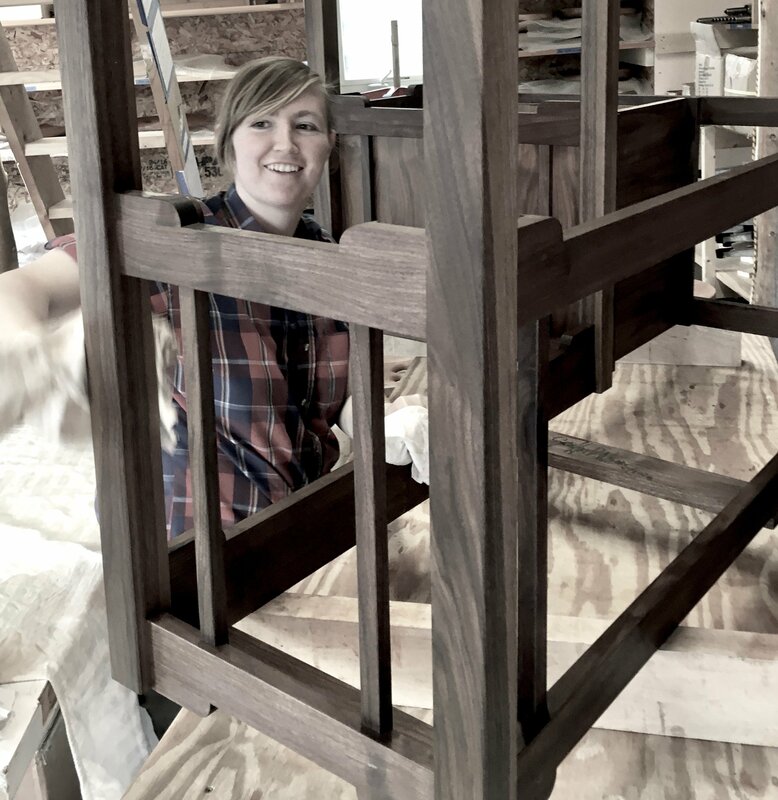 Depending on how busy we are, shipping orders for our OWL® furniture can vary from two to eight weeks. 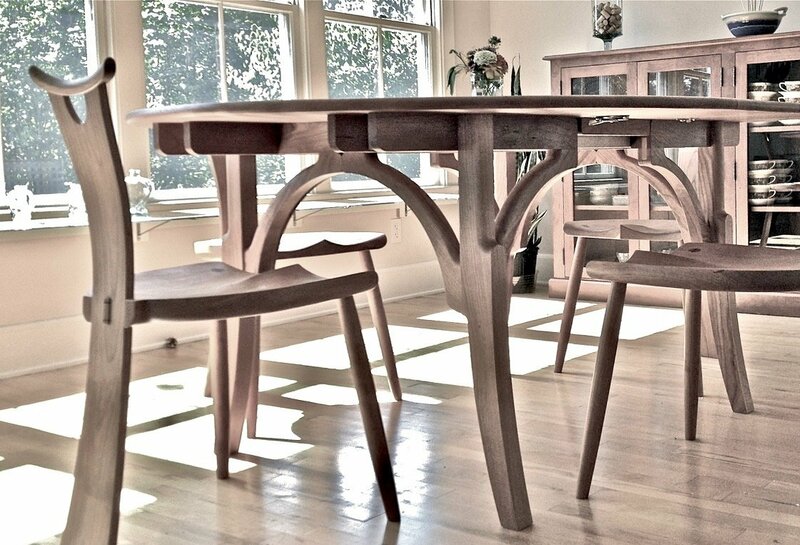 We reward Owl Stool customers with Free Shippingwith online purchases on some items shipped within the Continental U.S. Some exclusions apply. 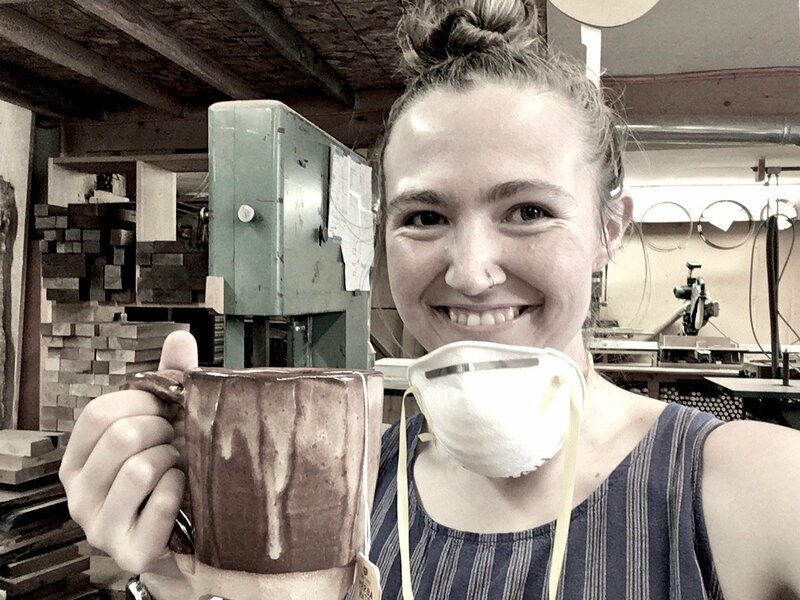 Free shipping is not offered on our wooden legged stools and our larger pieces: Owl Standing Desk, Stonington Continuous Arm Chair, Owl chair and The Peanut Desk. If your piece of Owl® Furniture arrives damaged, please notify us and provide pictures of the stool and box, in the condition they arrived, as soon as possible. These photos are essential in our insurance process with UPS. Please keep all original parts and packaging together until further instruction from us. 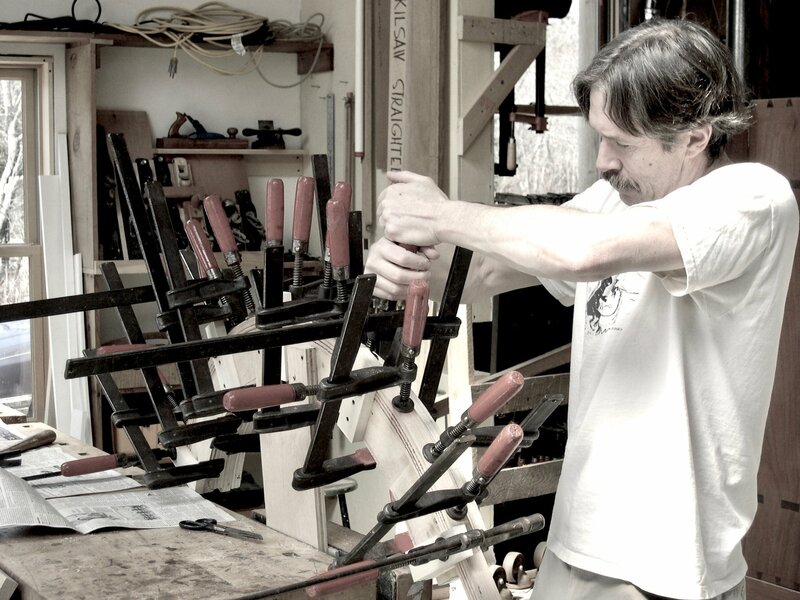 Owl Furniture is handcrafted and designed to provide a lifetime of satisfaction and dependability. 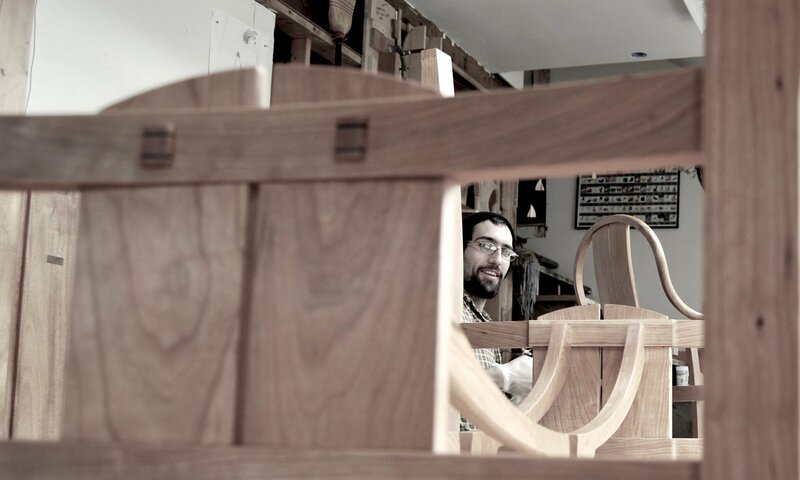 We proudly guarantee the craftsmanship and wood materials of Owl Furniture for the lifetime of the original owner. 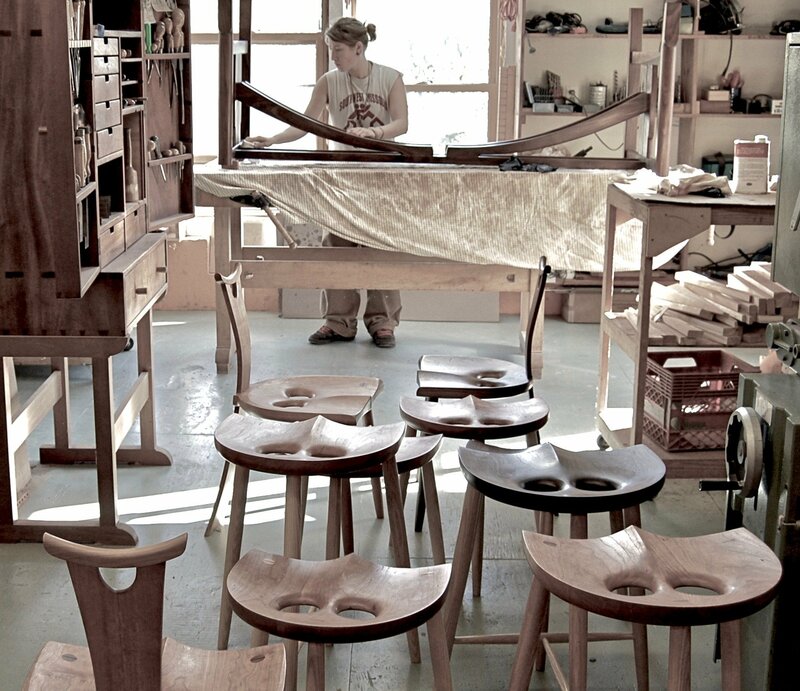 We can not offer a warranty on kits as we can not be responsible for the assembly of the Owl Stool out of our shop. We offer a 30 day return policy from the date of delivery- please see Returns & Exchanges for Undamaged Products below for more information. 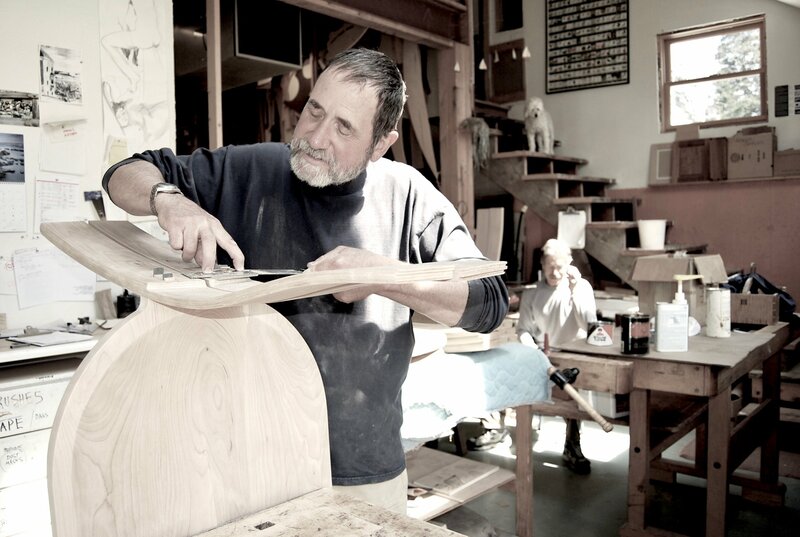 Handcrafted Wood: Proper care ensures a lifetime of use from your furniture. 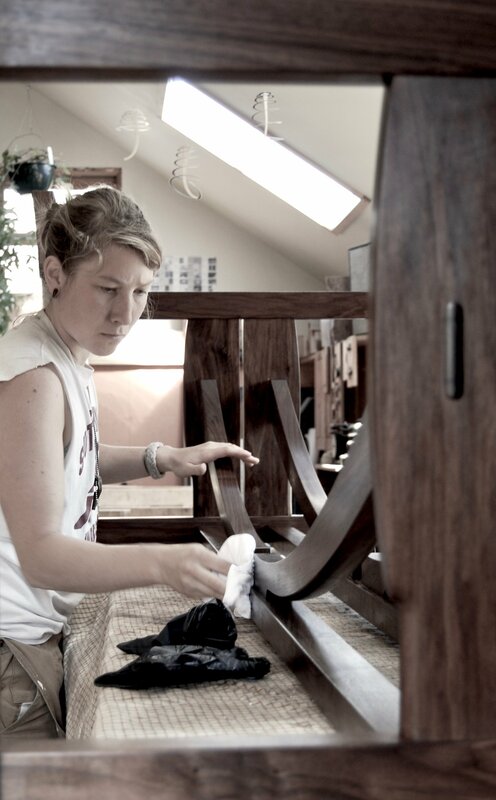 Should your furniture fail during the life of the original owner because of workmanship on wood materials we will gladly repair or replace it. Some special order wood species may be excluded. This guarantee does not apply to improper use*, accidents, normal wear and tear, alteration, improper cleaning or commercial use. There is a BIFMA* tested 300 lb weight limit. 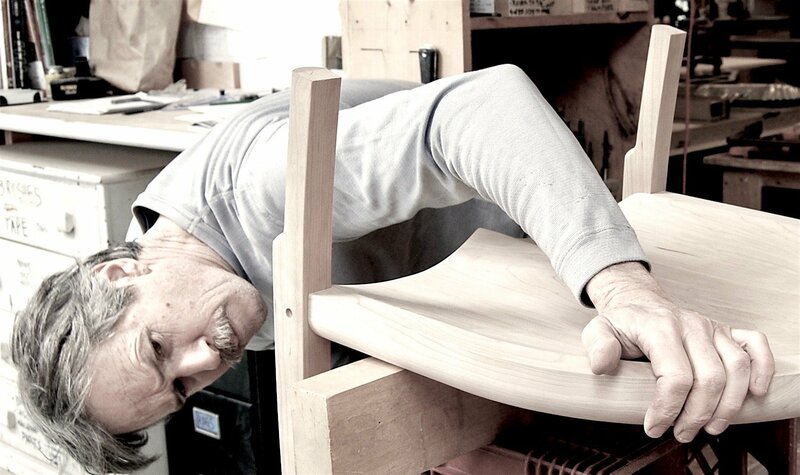 *Improper use: The postural support holes of the Owl Stool encourage healthy sitting postures, as demonstrated in our ergonomic graphics and videos on our website. This is the design and warranty intent. 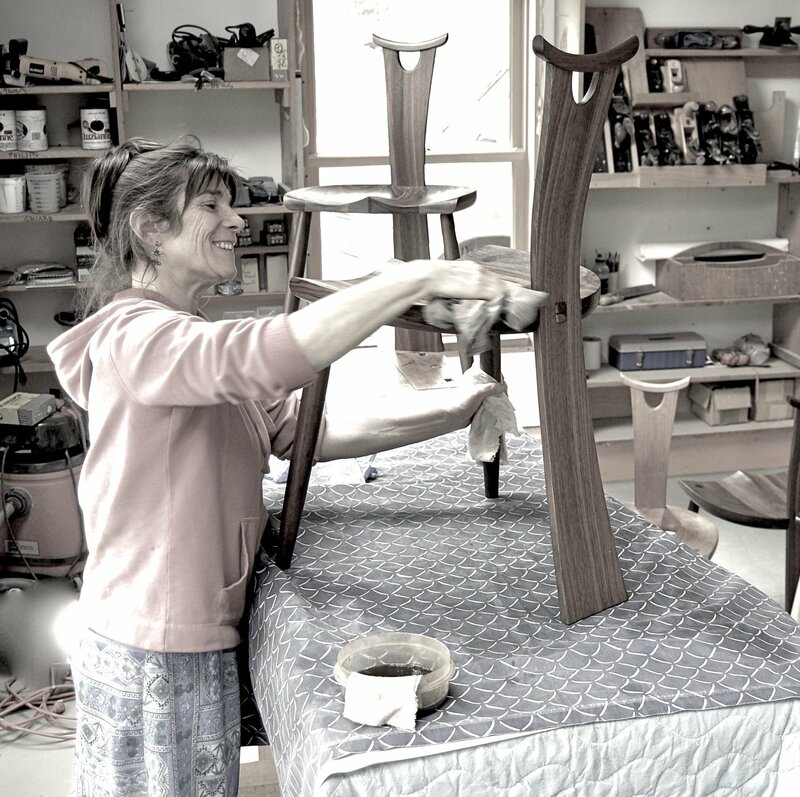 Habitual tipping back on the lumbar support, or not sitting centered in the postural support holes, by sitting on the edge of the seat, can strain the bolt connections that hold the seat to the base and cause damage. 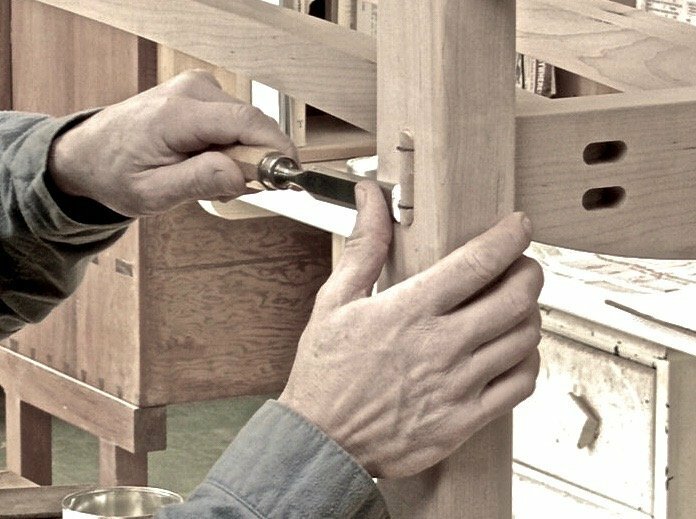 If the threaded inserts are ripped out of the wood grain at this connection point, it is a result of improper use and therefore Owl is not liable for the damage. We can, however, repair the damage at our cost, plus shipping. Please contact us before shipping. *BIFMA test results demonstrate the strength and durability of the Owl Stool® for subjects up to 300 lbs. 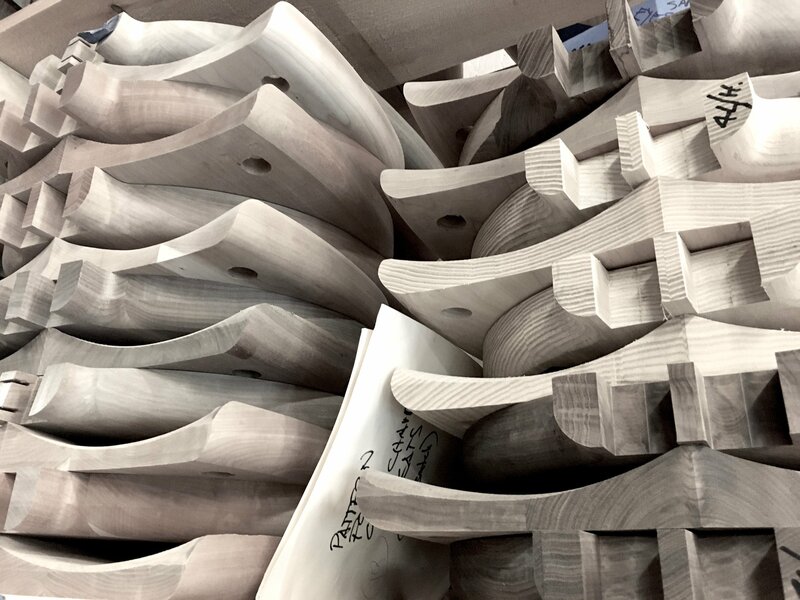 Manufactured Parts: Furniture components made by vendors other than Owl Furniture such as the pedestal base and gas lift pistons are excluded from our lifetime guarantee. Should these components fail during normal use within 1 year of the original date of delivery, Owl Furniture will repair or replace the damaged parts at no cost. After the 1 year warranty, manufactured parts will be replaced at our cost plus shipping. 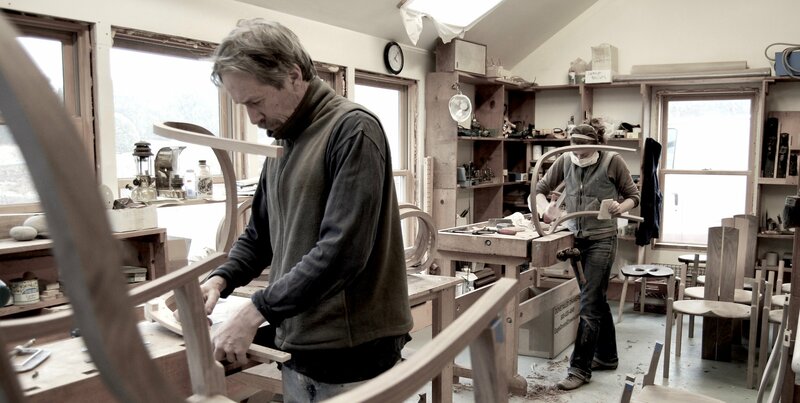 We have a 30 day return/exchange policy on Owl Furniture (excludes Owl Chairs, Stonington Continuous Arm Chair and Peanut Desk). You may return your item within 30 days of your receipt if it is in new, undamaged condition. 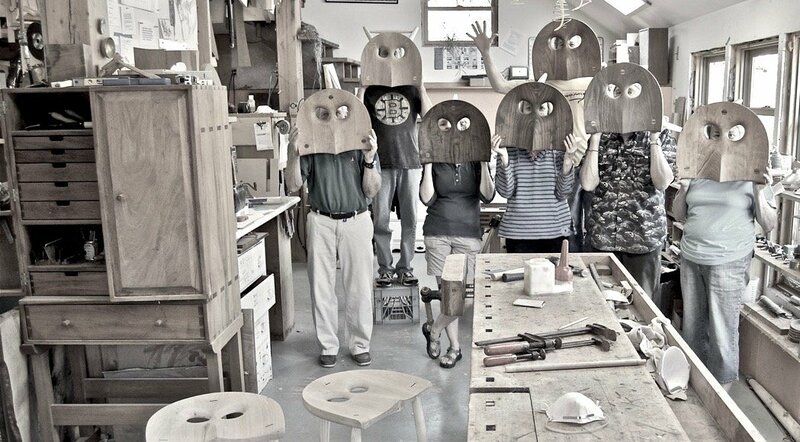 Pack the item and return it to: Owl Furniture ℅ Geoffrey Warner Studio 43 N. Main Street Stonington, Maine 04681 at your expense. Unfortunately we do have to charge a $25.00 restocking fee for returns and exchanges. Please notify us of the return before you ship by phone at: 207-367-6555 or by email at: [email protected]. We collect information from you when you place an order, subscribe to our newsletter or respond to a survey. When ordering or registering on our site, as appropriate, you may be asked to enter your: name, e-mail address, mailing address or phone number. You may, however, visit our site anonymously. Interested in a Volume Sales Discount? 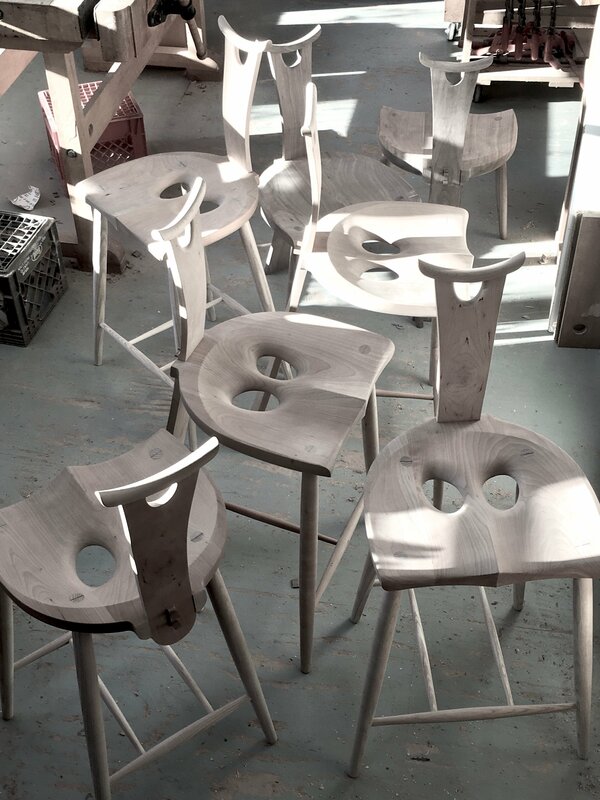 For medical settings, schools, institutions and libraries, where work requires prolonged sitting, the revolutionary design of the Owl® Stool with its unique postural support holes is an ergonomic and versatile option. Call us to see how we can work together to support comfort and productivity in your workplace. 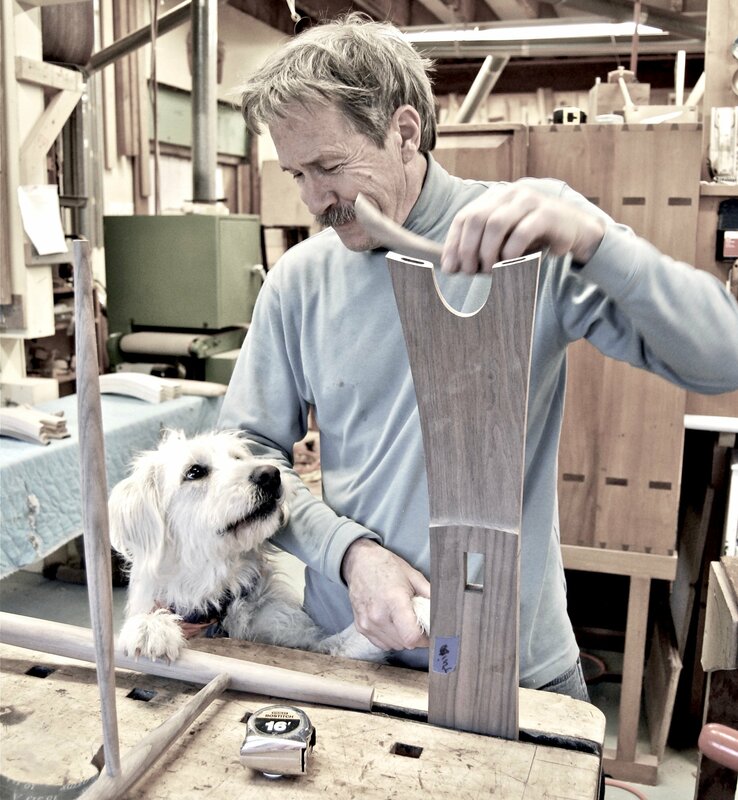 Thank you for your interest in our uncommonly comfortable Owl® Seating!